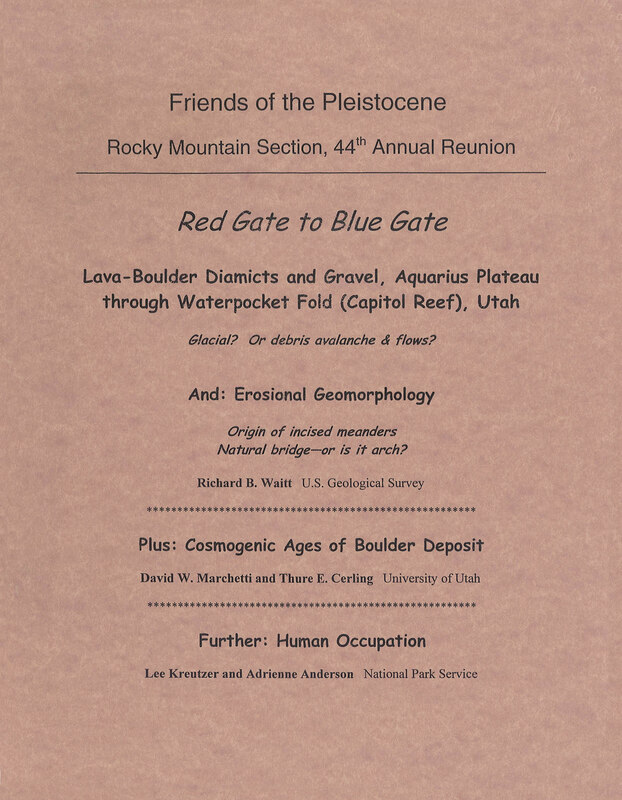 Here is the guidebook for the 2000 Rocky Mountain Cell Friends of the Pleistocene Field Conference Trip to Utah (a.k.a. Red Gate to Blue Gate). This is the 44th Annual Reunion for the RM Cell.